The Jets will use the second-round level restricted free agent tender to keep Robby Anderson for 2019, Manish Mehta of the Daily News (Twitter link) hears. The wide receiver did not want to be tendered this offseason, but he didn’t have much choice in the matter. This year’s second-round tender will be worth $3.1MM, a significant pay bump from his $633K paycheck in 2018. Still, Anderson has been pushing for a long-term extension with the Jets. A multi-year deal could still be ironed out this offseason, but for now, the Jets have him on a one-year prove-it deal that will keep him away from the open market. Anderson, 26 in May, made some noise in 2017 with 63 catches for 941 yards and seven touchdowns. He had a quieter year in 2018, even as his off-the-field antics made noise in the New York tabloids. He finished out last season with a 50/752/6 stat line across 14 games. With more than 20 free agents and upwards of $100MM in cap room, big changes are on the way for Gang Green this offseason. Amidst the overhaul, they’ll be keeping one of their most talented wide receivers in the mix. Robby Anderson can be kept away from unrestricted free agency for one more year. The Jets wide receiver will be a restricted free agent next spring, and although he wants an extension, Manish Mehta of the New York Daily News notes the expectation is the Jets apply a second-round tender to the talented wideout. That would cost them approximately $3.12MM. Due to Anderson’s issues off the field, the Jets will continue to monitor him as a long-term investment, per Mehta. An RFA tender allows them to do so at a relatively cheap rate. Additionally, Mehta reports the Eagles‘ deadline offer for Anderson was a fourth-round pick. The Jets declined, and the Eagles surrendered a third-rounder for Golden Tate. Although the Jets are more solidified at quarterback than they have been in many years, this season has not gone as well for Anderson as the Josh McCown year did. After a 941-receiving-yard, seven-touchdown 2017, Anderson is at 541 yards and five scores entering Week 16. Anderson figures to be part of the Jets’ skill-position corps in 2019, but there figure to be some changes. Sam Darnold does not appear to have a cornerstone weapon among this contingent yet, and Ralph Vacchiano of SNY.tv writes the Jets need to use some of their $100MM-plus in projected cap space to bring in better weapons for their young passer. Beyond Le’Veon Bell, whose path may well lead to the Big Apple, Mark Ingram and Tevin Coleman are big-name running backs who are months from free agency. The wideout situation figures to involve Tate, though he will be 31 next season, along with John Brown, Tyrell Williams, Randall Cobb and Jamison Crowder. The Jets also have Jermaine Kearse and Quincy Enunwa playing on expiring deals. As for who will be coaching this to-be-determined Darnold supporting cast, Mike McCarthy should be atop Gang Green’s target list, Rich Cimini of ESPN.com writes. McCarthy’s experience as a head coach and background with offense should endear the Jets to the longtime Packers coach. The Jets have opted for defensive-minded coaches for decades — Bill Parcells, Al Groh, Herm Edwards, Eric Mangini, Rex Ryan and Todd Bowles, dating back to 1997 — and are probably leaning toward changing course. Davis Webb dressed for his first game as a Jet on Saturday against the Texans. He remains behind Darnold and McCown on the depth chart, but due to injuries elsewhere, the Jets opted to make Webb part of their 46-man game-day contingent as a reward for solid practice play, Bowles said (via Mehta, on Twitter). With McCown winding down his age-39 season, Webb could possibly be a candidate to be Darnold’s backup in 2019. Brandon Shell will head to IR because of a knee injury, but the Jets expect their right tackle starter to return by OTAs, Matt Stypulkoski of NJ.com notes. Shell’s precise injury is not known, but Stypulkoski adds he did not tear an ACL or MCL. A full-time New York starter for the past two seasons, Shell is under contract through 2019. 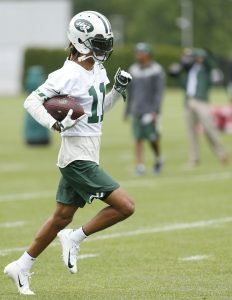 Robby Anderson does not want to receive a restricted free agent tender from the Jets this offseason, as Manish Mehta of the Daily News writes. But, unfortunately for the wide receiver, he doesn’t really have a choice in the matter. Anderson was hoping to break out this season and garner a multi-year extension from the Jets. So far, things have not gone according to plan. With just 23 catches for 368 yards and three touchdowns so far this year, it’s unlikely that the Jets will make a lengthy commitment to Anderson, but that won’t stop him from trying. The RFA tender would indeed mark a big step up for the 25-year-old (26 in May). This year, he’s earning roughly $633K this year, but the tender would pay him about $3.1MM for 2019. It’s not a given that the Jets will use the tender on Anderson, but it seems awfully probable after they turned down the Eagles’ offer of a fourth-round pick before the trade deadline. After that, if Anderson stays healthy and out of off-the-field trouble, the Jets would probably be willing to discuss a longer arrangement. Anderson is a long way from GOAT discussion, but he did show promise last year. The former UDFA finished out the 2017 season with 63 catches for 941 yards and seven touchdowns. Recently we broke down the latest drama in the Bowlen family regarding ownership of the Broncos. Since then, even more information has come pouring in with a pair of new reports. Nicki Jhabvala of The Athletic went through the entire 21-page lawsuit filed by owner Pat Bowlen‘s brother Bill, and broke down all of the complaints. Essentially, Bill is challenging the legitimacy of the trust that has been running the Broncos, by claiming the trust was formed after Pat had already lost his ability to act as his own attorney. Jhabvala writes that the filing “may only be [the] start of [a] messy battle for control” of the team. Separately, Ryan O’Halloran of the Denver Post reports that Bill’s legal team is hoping to settle the dispute outside of the court system. Bill’s lawyers said their hope is to have “discussions with the trustees and their attorneys” and avoid a legal resolution. It’s unclear what their endgame is, as they don’t likely have much legal standing due to Bill selling his remaining shares in the team back in 2002. Bill is reportedly working with one of Pat’s daughters, Beth Bowlen Wallace, in their quest to take ownership over. There should be even more details in the coming days. Former Penn State linebacker Jason Cabinda didn’t make the Raiders out of training camp, but the team remained high on him. They signed him to the practice squad, and now Oakland apparently counting on him to play a major role in their defense moving forward, according to Vic Tafur of The Athletic. Tafur writes that “all indications” are Cabinda is going to play a heavy amount of snaps this weekend against the Colts. The Raiders cut veteran Derrick Johnson recently, and Tafur writes they did so in large part because they believe in Cabinda. Robby Anderson has started to find a groove recently and form a connection with Sam Darnold, but the Jets receiver looks like he’ll be sidelined this week against the Bears. Anderson is dealing with an ankle sprain, and has been downgraded to doubtful for the game. With Quincy Enunwa, also out, the Jets’ receiving corp will be very thin and New York will likely have to lean heavily on recent free-agent signee Rishard Matthews. In case you missed it, the Texans worked out receiver Brice Butler earlier today in the wake of Will Fuller‘s ACL tear. After a pair of arrests, Jets wide receiver Robby Anderson appeared on track for a suspension from the NFL. However, the league has confirmed that Anderson will not be suspended for any of his legal run-ins, according to Manish Mehta of the Daily News (on Twitter). Anderson’s first incident took place in May of last year when he resisted arrest with violence after allegedly getting into a fight at a Florida music festival. Then, in January of this year, Anderson was pulled over for driving 105 mph in a 45 mph zone. The 25-year-old was initially hit with nine charges from that arrest and police say that he threatened to sexually assault the wife of the arresting officer. Over the summer, Florida prosecutors dropped the felony charges associated with the music festival brawl. Later on, Anderson received six months of non-reporting probation to settle the reckless driving incident. This is tremendous news for the 1-3 Jets, who can use all the help they can get. As opposing defenses focus on Quincy Enunwa, they’ll need Anderson to exploit weaker coverage. Through one month of football, Enunwa leads the Jets in receiving with 21 grabs for 278 yards and one touchdown. Anderson, meanwhile, has just eight catches for 108 yards and a score. 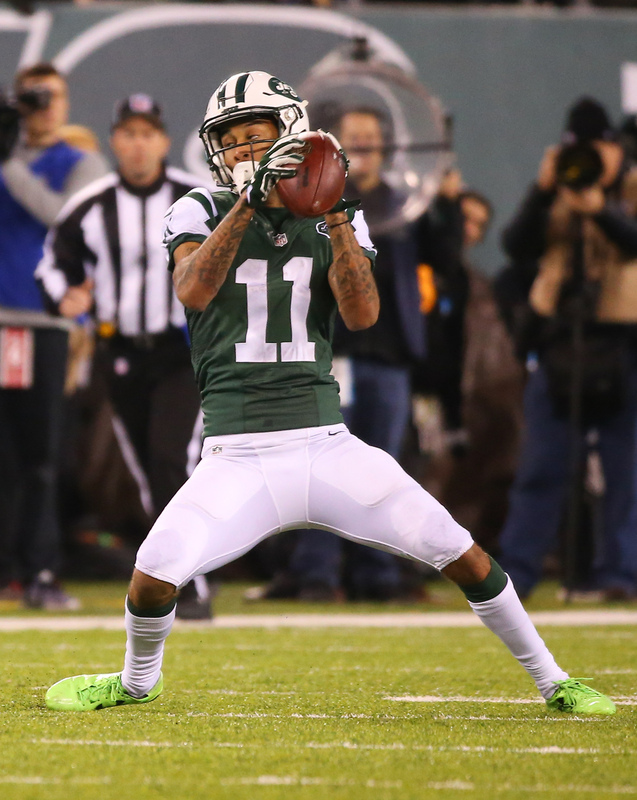 The Jets – with Anderson in the lineup – will face the Broncos in East Rutherford, New Jersey on Sunday.